It’s been few days back where there was a huge buzz on Microsoft’s Xbox 360, where the update was scheduled to go live but later it was delayed for less than a day. 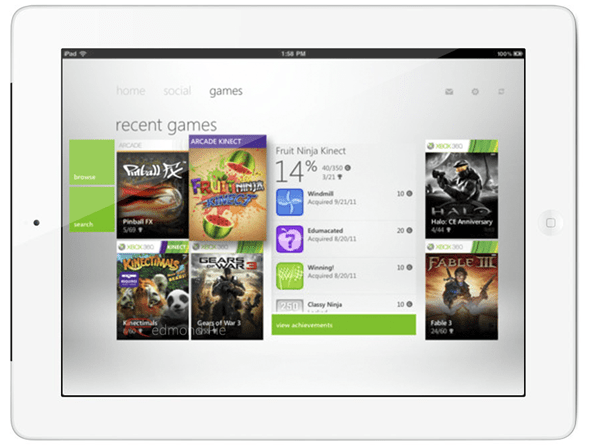 Now the whole new iOS app hit the Apple App Store which is Microsoft’s first Xbox to be released for the iOS devices. It is coming as a free universal application which comes in two distinct user interfaces; one which is designed for iPhone and iPod touch and another is especially for large Screen iPad. Those who are already using the new Xbox 360 Dashboard will immediately recognize the UI, as it has passing resemblance to the Windows phone 7. If you are looking for the large animated titles then the new Xbox 360 will surely offer you at your expectation. The application’s feature list comprises of the most key functions you might expect in the sporting Xbox. With this app, users will be able to send and receive messages and it will also enable the users to manage their friend list and invite new friends, make changes to their portfolio and many more. In order to enjoy the complete features of My Xbox LIVE app, users need to sign up with their Xbox LIVE credentials. We have tried testing the service with two of the Xbox account, out of which one got connected easily whereas there were error messages in the other one. This can be due to the server load and hopefully things will settle down as the time passes. 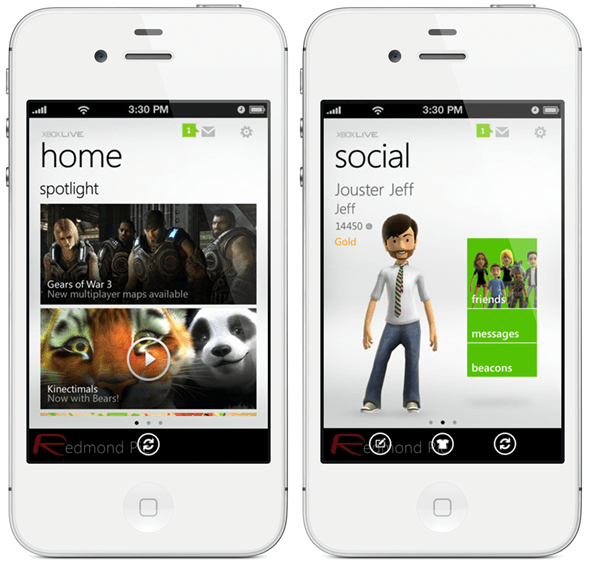 Along with Xbox, Microsoft has also released an Application for its Windows Phone 7 platform. Microsoft has said that the new release will comprise of even more features than the iOS one. There is no buzz on the upcoming Android release and that’s not good news for Android users. It has taken quite long than perhaps it should have for the Microsoft, but you can access the Xbox Live account from your iOS devices. How to Uninstall Programs on Mac - Quick 4 Ways To Uninstall ! Shake iOS Game Review – Take Your Fun to Whole Next Level! AmpliFly iOS Game Review – Refreshing Arcade Game For iPhone! Paint My Place iOS App Review: Realistic Color Painter and Editor For iPhone/iPad!